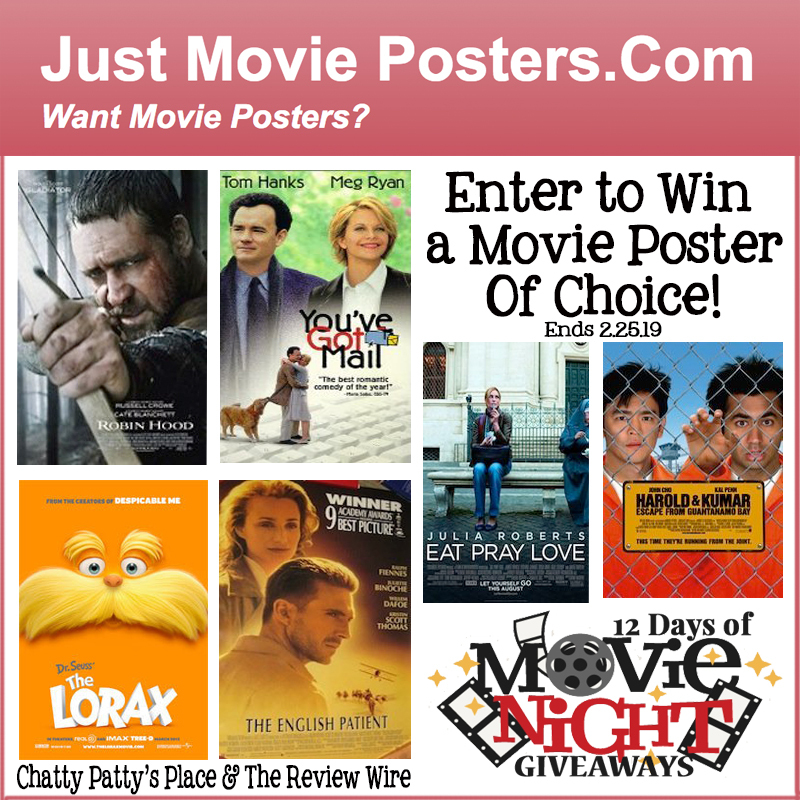 Welcome to DAY 2 of the 12 Days of Movie Related Giveaways hosted by Chatty Patty's Place and The Review Wire! Whether you want a movie poster from the latest movie, collect posters from a specific genre or are just looking for that one of a kind movie poster, chances are you'll find it at JustMoviePosters.Com. Enter all of the 12 Days of Giveaways! My husband and my father-in-law both love to hang movies posters everywhere.